Incredible property in Cumru Twp! Nearly 8 acres of property for your pleasure featuring 5 bedroom 2 and a half bath home with records dating back to the early 1800s. A warm, bright sunroom at the back of the home provides a great view of the property and a finished third level can be used as a bedroom or a craft/play space. Updates to the property include a finished basement area with kitchen, full bath, another bedroom and a firpelace! 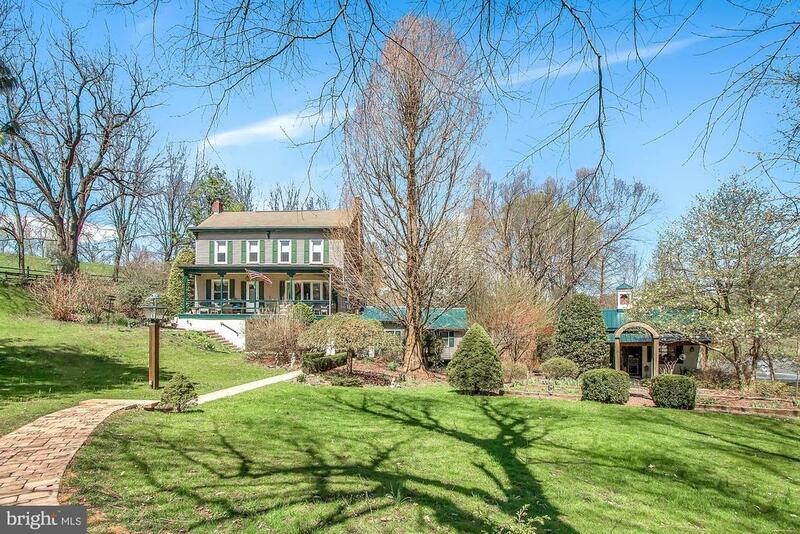 The property boasts an inground pool, a lovely pond with swans, a koi pond, and gazebo. There is a large horse barn where the Reading Police Dept housed their service horses back in the day and another barn with stables plus a 3 car detached garage on the fenced property. The property has been a favorite stop for garden tours, historic tours, and much more. Now it can be yours!